Monterey is a city in the U.S. Family-friendly places like Dennis the Menace Park and Natural Bridges State Beach will thrill your kids. Explore hidden gems such as Big Basin Redwoods State Park and Pacific Grove Oceanview Boulevard. 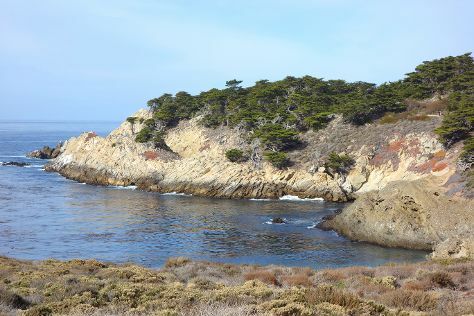 Get out of town with these interesting Monterey side-trips: Capitola Beach (in Capitola), Big Sur (McWay Falls & Pfeiffer Big Sur State Park) and The Shakespeare Society of America (in Moss Landing). Spend the 14th (Fri) observing fascinating marine mammals with a dolphin and whale watching tour. There's lots more to do: kick back and relax at Point Lobos, admire the natural beauty at Gilroy Gardens Family Theme Park, admire nature's wide array of creatures at Monterey Bay Aquarium, and grab your bike and head to Monterey Peninsula Recreational Trail. For maps, photos, and other tourist information, you can read our Monterey trip planner . June in Monterey sees daily highs of 68°F and lows of 53°F at night. Wrap up your sightseeing on the 22nd (Sat) early enough to travel back home.